I still can't believe people will leave their dog in their cars while doing errands. 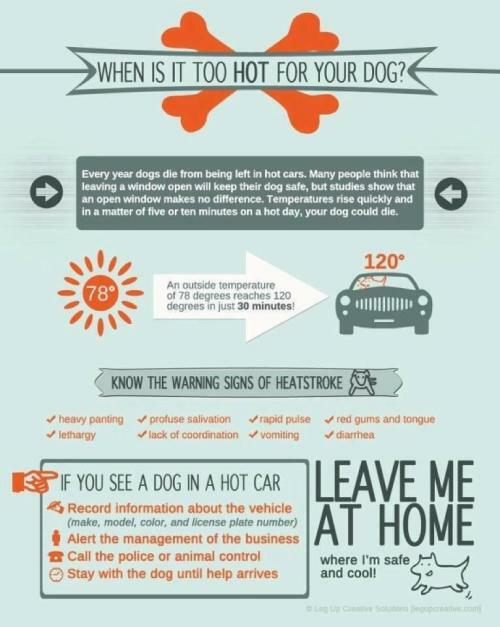 Leave your pets at home if you have to get out of your car at any point. A cracked window is NOT sufficient to cool your car or your pet. I hate when this happens!